I think this is great. Two recent engineering graduates decided to create a line of dolls called Miss Possible – and what makes these dolls special is they represent famous women in STEM from history, such as Marie Curie, Ada Lovelace, and Bessie Coleman (the first African-American female pilot for those of you who don’t know). 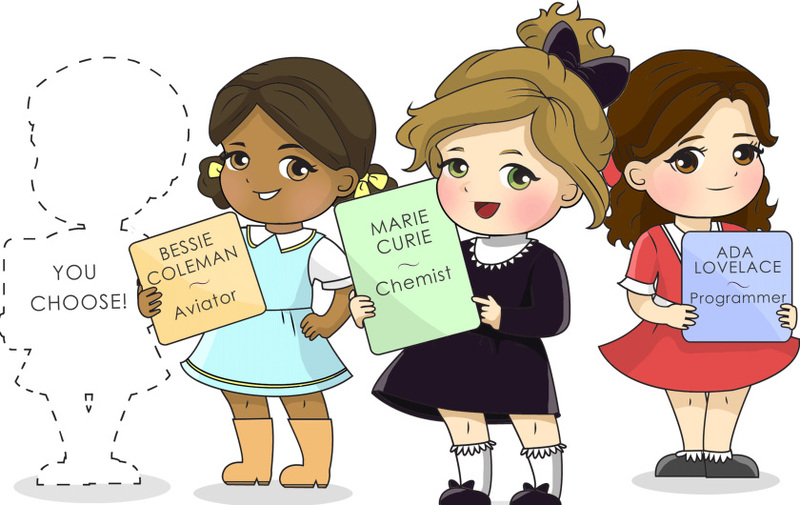 The dolls will come with apps that describe the life of these women and allows girls to do hands-on activities relating to their lives, such as creating a compass for Marie Curie. The doll creators are raising funds on IndieGoGo and allowing for preorders of the dolls. Image from the above link.